A better option is to learn how to choose a watch that suits you. This is a wiser approach since it will be the best option specifically for you. Statisticbrain reports about 1.2 billion watches are sold each year so you’ll have lots of brands and models to pick from. It’s all about finding one with the right design, functionality, features, and price that are right for you. Before you start searching for a new watch, it’s critical to think about some things. Make sure to consider your wants and needs. A big decision is the general type/style. For example, do you want a smartwatch or mechanical timepiece? Are you looking for a Casual, Luxury, Sport, or Vintage wristwatch? Do you prefer a digital or mechanical watch? Think about the various features you want the watch to have. They can include (but aren’t limited to) time, day/date, chronograph, health/fitness tracking, mobile payment, or even remote control. Make sure set a budget and just as importantly—stick to it. For example, consider whether you’re willing to spend $100, $500, $1,000 or even $20,000 for your next wrist watch. This is one of the biggest issues to take up when picking the right watch for you. Field Watch: This wristwatch dates back to World War I when it was designed for World War I officers. These units still have a military vibe and are durable yet functional and stylish. They have a canvas or leather strap since metal would scratch when worn in the field. Racing/Driving Watch: This style has been popular since the 1930s when Rolex issued Oyster watches to the top drivers. TAG Heuer was another game-changer when it added chronographs and tachymeters to driving watches. 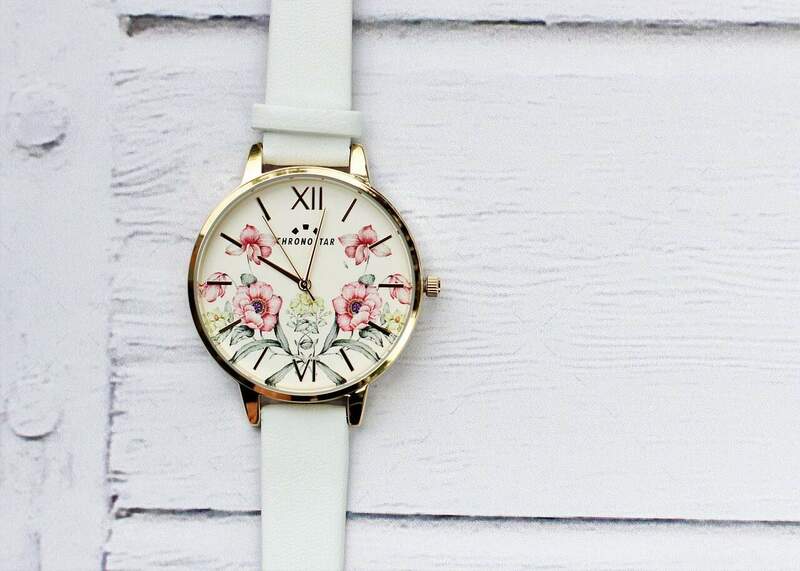 These timepieces include a sturdy case, big dial, and metal or leather band. Pilot/Aviator Watch: The first pilot-specific wristwatch was Santos that Louis Cartier designed for a pilot friend over a century ago in 1904. A pilot watch doesn’t have a distinctive style while the features of different “aviator watches” can vary widely. That said, they tend to include easy-to-read features, date/chronograph, and leather band. Dive Watch: This is one of the most popular sporting watches that James Bond wore in the first 007 movie “Dr. No” (1962). Fun Fact: Bond first wore a Rolex Submariner then later an Omega dive watch. Dress Watch: This is a simple/stylish option that pairs well with dress suits. The faces usually include Roman/Arabic numerals. Keep in mind that dress watches aren’t flashy or oversized. In fact, they tend to be charming and understated. The three main types of watch movements are: Mechanical, Quartz, and Automatic. The hands of a mechanical watch move with a smooth/sweeping motion. You must manually wind up the watch for it to operate. Next, the movement of a Quartz watch causes the second hand to move with single ticks. This type of watch is battery-powered. Finally, there’s an Automatic watch. The kinetic energy of your wrist/arm drives the mechanisms inside the wristwatch. Sometimes complications aren’t a bad thing. A wrist watch’s “complications” are the extras you get with an analog watch. These features include a display that shows the Day/Date or moon’s phase. Other complications include alarms and repeaters (chimes the watch’s hour/minutes). Another common complication is the chronograph/stopwatch. There’s a basic chronograph and chronograph/tachymeter combo that lets you calculate things like speed, distance, or fuel consumption. More specifically, it’s critical to consider how well the watch’s size is proportionate to the size of your wrist/hand. If the watch is too large, it will look showy. Meanwhile, if the watch is too small, it will look like you bought it from a bubblegum machine. Here’s a helpful guideline. If your wrist’s circumference is 6-7 inches, then pick a case diameter of 38-42mm wide. Meanwhile, if your wrist diameter is 7+ inches then pick a case that’s 44-46mm wide. Always get a second opinion from a friend/relative to make sure you’re picking the right size. Besides setting a budget before you buy a new watch, you should also determine the price range you’re searching for. Should you spend $10 for a Casino or $10,000 for a Rolex Submariner? It’s a loaded question. The answer is mostly about whether or not you’re willing and able to buy a luxury watch. High-priced watches are greatly as such due to branding and marketing. That said, you’ll also be getting top-tier quality, materials, and craftsmanship. The design and tech of luxury prices also explain their sky-high price tags. 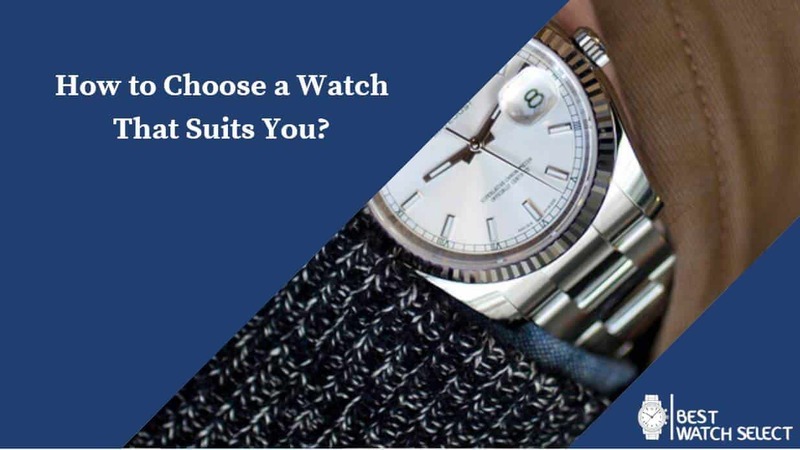 The bottom line is it’s your choice whether to buy a cheap or pricey watch. This is somewhat related to the issue of the watch’s style but is more attire-specific. Silver/titanium are good for night and match up well with blue, black, and grey. Gold watches tend to look good in the daytime and with clothing colors like green, brown, and grey. Some features are common with nearly all watches but are available in different degrees and functionalities. For example, nearly all watches are splash-resistant. However, if you’re planning to do swimming, snorkeling, or diving, then you’ll need to select a watch with water resistance up to a particular depth. Finally, there’s an X-factor when learning how to choose a watch that suits you. Consider whether or not you’re comfortable wearing it. This is partly about the size of the dial and band. However, it’s more about whether you’d feel comfortable strapping on the watch each and every day. If that’s true, then it’s always the right time for that timepiece.